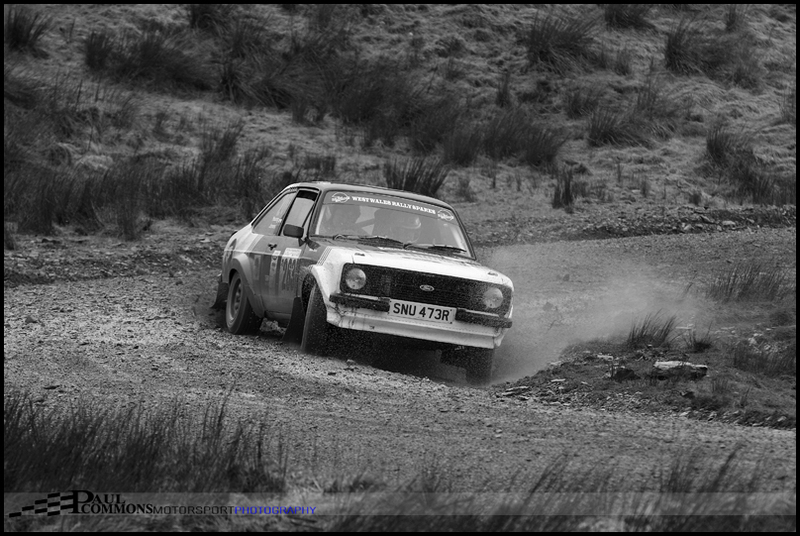 Nick Elliott and Dave Price made up for the last stage error on the Red Kite by taking maximum BHRC and RAC points on the Mid Wales Stages. Matthew Robinson and Sam Collis came a close second while in turn claiming the 55 mile event honours. Meanwhile 2013 Welsh Champions Alex Allingham and Chris Williams came out on top in the slightly shorter modern event. If the route through Tarenig forest into the Pikes Peak stage was anything to go by this was going to be a very tricky event for the competitors. 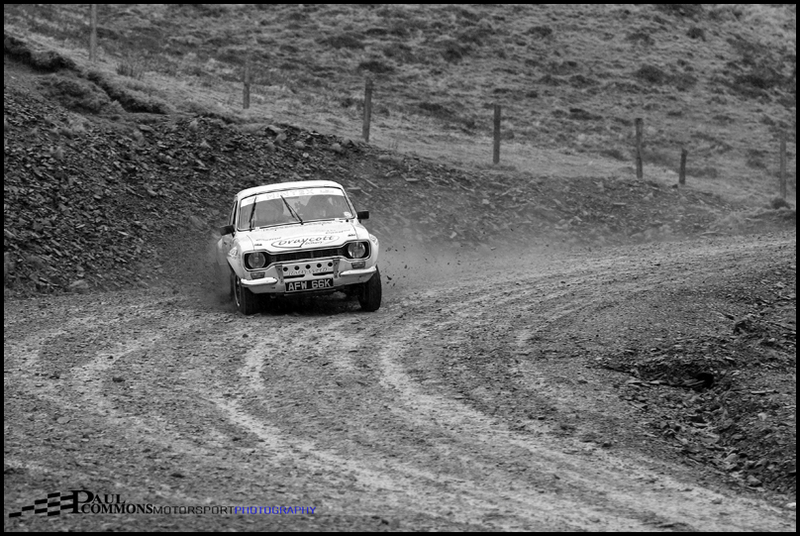 Prior thoughts of combining Motorsport images with the fantastic mid Wales scenery looked to be difficult; confirmed by the high winds and sideways rain which aggressively met the hardy spectator who ventured onto the barren mountain range dividing Myherin forest and the Pikes Peak hairpins. Having settled on a sweeping 90 left for stage 1 of the combined historic/55 mile event, it was obvious that this was going to be tough photography wise. Not being someone who is happy to get equipment wet, I was left with no option but to bolt the 70-200 on, attach the monopod, and see what could be achieved whilst holding an umbrella. The photography may not have been great but the commitment of the historic guys through this section was superb. Richard Hill and Jason Pritchard were as entertaining as ever. Pritchard would unfortunately retire, however RAC round 1 winner Richard Hill, with Steffan Evans on the notes, would go on to take fifth overall to keep him firmly at the top of the points table. It may have been an even better result had it not been for a 1 minute time loss in Stage 2. A phenomenal drive through Pikes Peak and Myherin saw Nick Elliott and Dave Price take a commanding 36 second Historic lead into the first Sweet Lamb service. The hard work had already been done in the battle for top RAC honours too as they also held a 17 second lead over Matthew Robinson and Sam Collis. Meirion Evans and Iwan Jones were putting in a strong performance to hold second in the Historic event with David Stokes and Guy Weaver rounding out the podium positions. Behind Robinson in the 55 miler sat Terry Brown and Den Golding who in turn were closely followed by the first non Ford crew of Owen Murphy and James O’Brien. 2013 Welsh Champions Alex Allingham and Chris Williams were quick out of the blocks in the modern event. 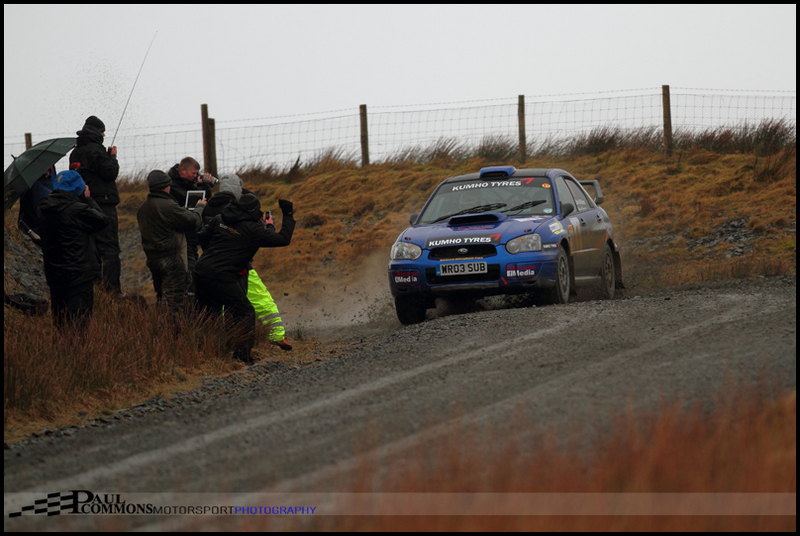 They gained most of their 28 second winning margin on stage 1 alone and would go on to set fastest time on all four stages. Their commitment through this tightening 90 right of stage 1 was second to none. 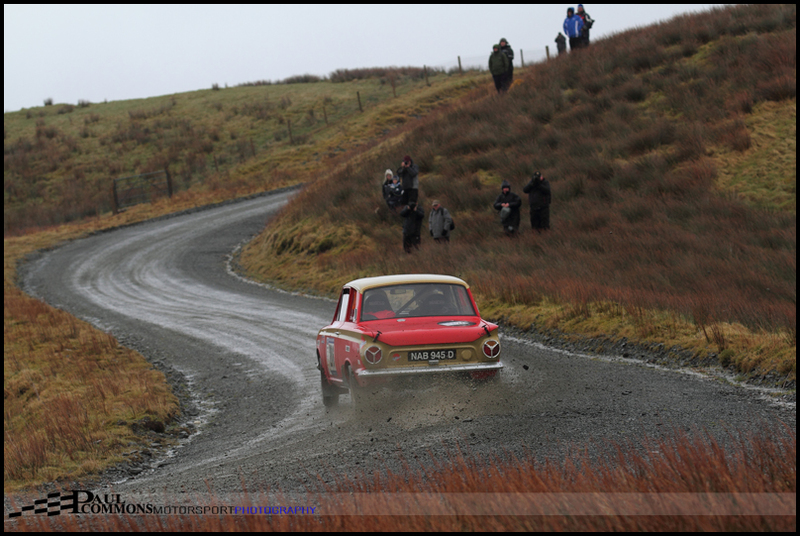 Daniel Humphreys & Ian Pryce claimed the runner up spot with a great run over the final 3 stages; giving up less than 5 seconds to the eventual winners over the Myherin, Hafren and Sweet Lamb tests. Paul Davy and Roger Allan would follow them home with third overall. The afternoon schedule saw the crews tackle Hafren and Sweet Lamb before a short service and another run through Pikes Peak. I couldn’t pass up the opportunity of witnessing the downhill running of the final stage and subsequently headed to the last but one hairpin of this infamous stage. On arrival it looked as if the weather was going to play ball. Luck however was not on our side; as before I even had chance to swap to the wide angle lens the heavens opened. This time it was definitely more than a passing shower. Combined with the frequent gusts of wind, the ‘Epynt style’ sideways rain made capturing any sort of movement ‘troublesome’ at best. Upon reading the results on the way home it was no surprise to find out Elliott and Price had claimed the BHRC victory. 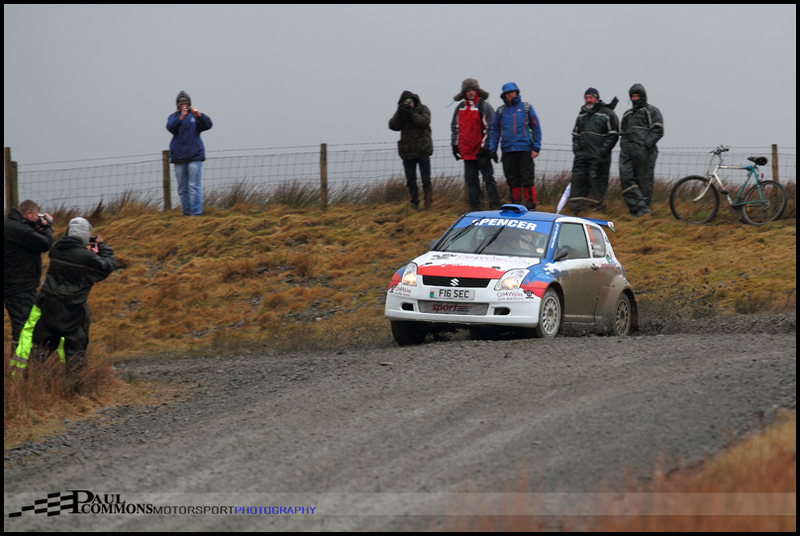 The Historic event podium positions also remained unchanged throughout the afternoon’s 3 stages leaving Evans and Jones to take a well deserved second and Stokes and Weaver to take the C5 victory with third overall. Confusingly however Robinson and Collis would be the second BHRC registered crew home with their victory in the Open event. Category 1 honours went the way of Graham Waite and Gill Cotton in the mighty Volvo Amazon. It is always a pleasure to witness this machine being man-handled around the stages. 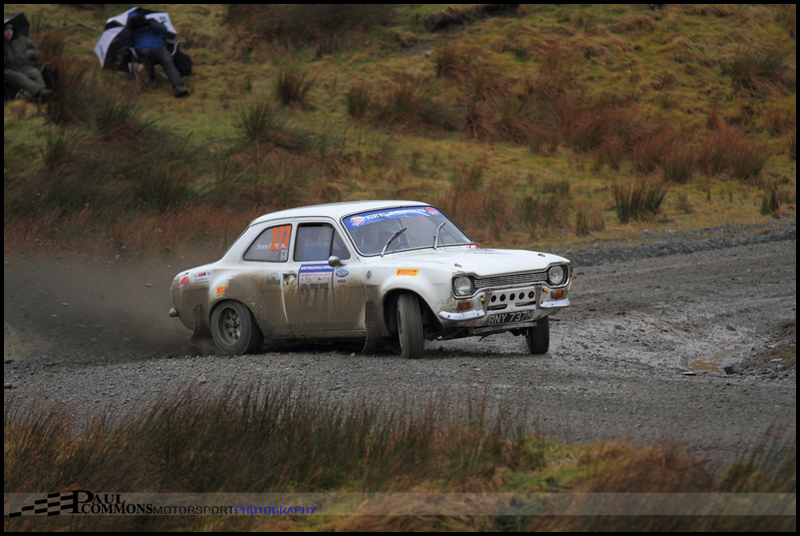 Following Robinson home in the RAC event were Owen Murphy and James O’Brien in the crowd pleasing Sunbeam and round 1 winner Richard Hill in his bright yellow Ford. Ray Cunningham and Gary McElhinney followed up a great run on the Red Kite with another stunning performance to take category 1 honours and a fantastic 22nd overall. Although leading to slightly confusing results, the BHRC and RAC organisers must be highly praised for allowing competitors to score points in both championships. It did worry me that the split of historic competitors across two series at the start of 2013 would not necessarily be in the best interests of the sport. However collaboration like this can only aid what is by far the closest and most exciting category of rallying currently available on British shores. 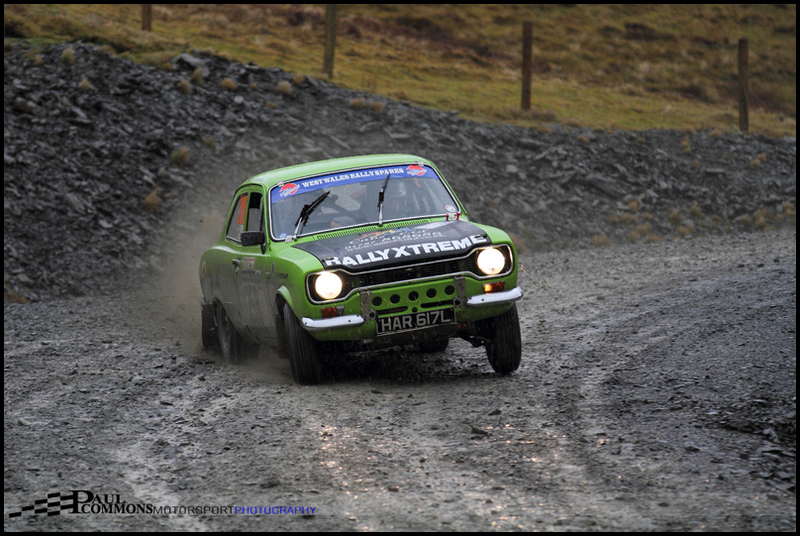 The two championships now head in different directions with Rally North Wales being the next event for the BHRC runners and the Tour of Hamsterley next up for the RAC contenders. 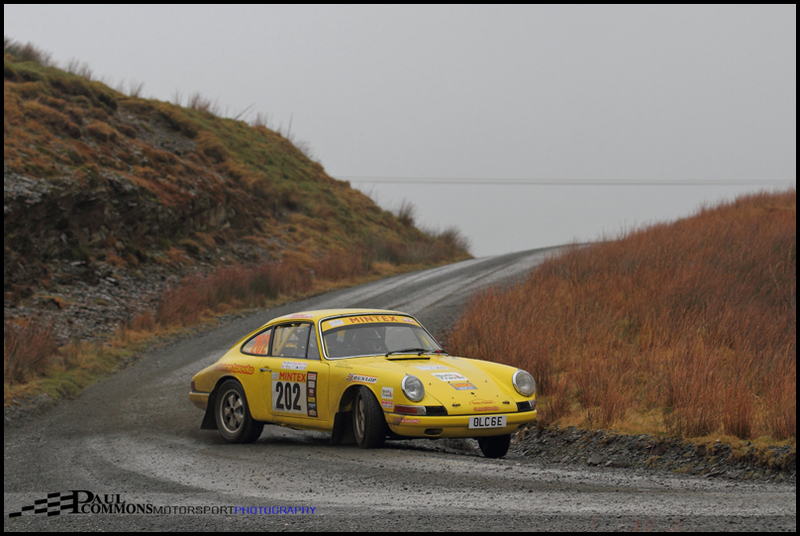 It is looking more and more like being another great year for historic rallying. Lets hope the entries grow even bigger over the forthcoming events. 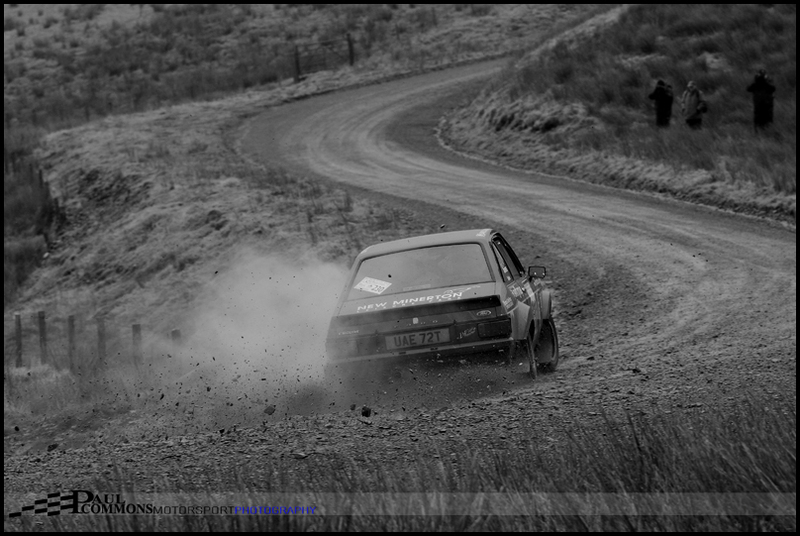 Great report and pictures, like the sideways mk1 from morning stage. Sideways rain a main feature of the day but fantastic rallying.